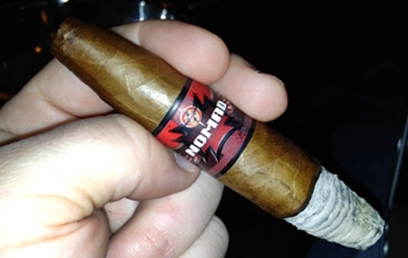 One of the newer cigar lines to hit the market in the last 12 months comes to us from Nomad Cigar Company. 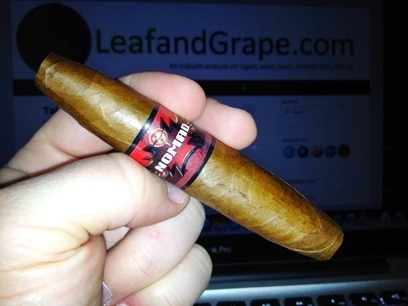 Those of you who follow the cigar industry via Twitter are probably well aware of Nomad founder Fred Rewey’s @GodFadr handle. Fred is truly a cigar activist, passionate about the industry and always engaging online with manufacturers, retailers and consumers alike. NOTE: The line also boasts a limited release figurado known as The Fugitive. After smoking each of the cigars, I chose to focus my attention on two specific shapes: the Vagabond (figurado) and the Navigator (torpedo). So, let’s get in to the breakdown of Nomad’s construction and appearance. This Ecuadorian Habano wrapper is medium-brown with a solid sheen. Each of the four cigars showed a few veins bulging beneath a smooth and shiny wrapper. 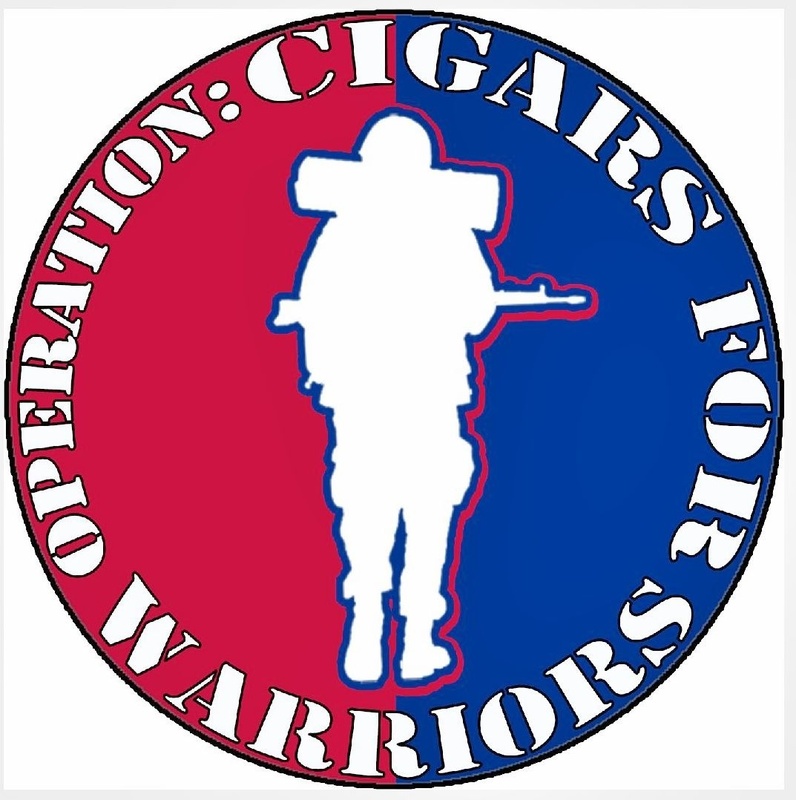 The cigar band consists of a 3-layered logo comprised of a compass atop an iron cross with metallic-like wings coming out both sides of the iron-cross. The logo is set against an all red background with a black outline. The company name is centered along the logo in white. Now, let’s get in to lighting these sticks up and see how they smoke. If you look closely at the picture to the left, you’ll notice a significant tear along the shaft of the Navigator. This was due to me dropping the cigar after punching holes in the top and bottom of the torpedo cap. Rather than tossing the cigar, I decided to go ahead and light it up – I wanted to see how construction would hold up after being damaged… FLAVOR: Pre-light: Primary flavors consisted of sweet grass and a light earthiness. Smelling the wrapper and foot also produced sweet notes of grass. Light: Setting a torch to the cigar produced flavors identical to the pre-light, prominent notes of slightly sweet grass with a hint of earth. In terms of strength, the cigar starts out on the lighter side with minimal complexity – the prominent flavors defined above are what you get. As we get in to the heart of the cigar, a muted wood flavor appears and compliments the earth and grass nicely. Along with the wood comes a slight increase in body and strength. As the wood continues to develop, the sweetness subsides and is replaced by a slight tartness. Draw is very good and smoke production is adequate. Of the shapes I smoked, it was the Navigator that impressed me the most. I’m typically not a torpedo fan, but the flavors coming from this vitola were more prominent and provided the most enjoyment for me. EXPERIENCE: Burn: This is where the Nomad line really shines. Each of the cigars produced an excellent burn with a razor-sharp burn line. In the case of the Navigator with the large tear (above) – notice now the photo to the right, the tear is no longer there. How many times has a wrapper tear ended with the wrapper coming totally undone or at least ruining the experience? This was not the case here. The Nomad Navigator burned like a champ – all the way up to and through the extensive tear. This is a true testament to the quality put in to the Nomad line, and something I was very pleased to see. As for the ash, well, as visible by each of the photos – it consists of a mix between solid-white and a light grey marble color. Each ash produced was rock-solid, never prematurely falling off until I decided to flick it off. Another testament to Nomad’s quality. Draw: As mentioned before the initial draw was very good, consisting of only a slight resistance – exactly what I look for in a cigar, not too open and not too tight. Complexity: While construction, burn and draw were all solid scores, one area this line did not excel in is complexity. The flavors experienced were pretty-much one-dimensional until the tart wood flavor appeared. Yes, the cigar did provide flavor changes. However, I found myself wanting something a little more in terms of over-all flavor and transition. 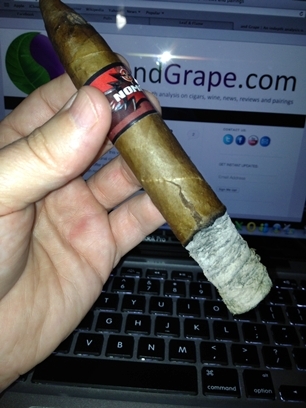 This entry was posted in 2013, Cigar Reviews, Navigator, Nomad Cigar Company and tagged 2013, Cigar Review, Nomad Cigar Company by Stace Berkland. Bookmark the permalink.